Technical drawings of cars can be interesting, as you do get to see the insides of a car without it being in a crash, or on some organ donors lot. Here is a great example. 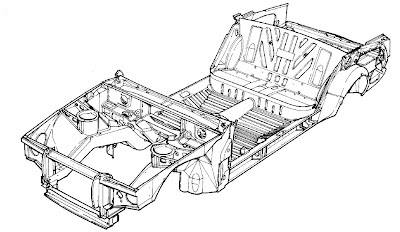 The Bentley Turbo R subframe. So that's how it looks when you peel the skin away. 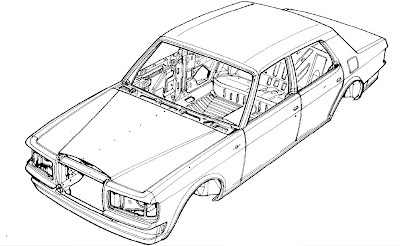 From these drawings you could work out which points to wield your new roll cage to.